Web pages are slow or will not load on Samsung Galaxy S4 or take a long time to display while downloads take a long time to complete. These are some of the symptoms of a browser problem that many owners were complaining about just a few weeks after they have bought the device. Fortunately, the issue is not serious and can be fixed without unnecessary risks. Connected to a poor Wi-Fi network. Website is under heavy load. Device software is not up-to-date. Browser software is not up-to-date. Low device memory, applications running in background. Internet cache full or corrupted. If the issue occurs only when you are in a specific location, please check with your Service Provider for coverage in the area where you are experiencing the issues. Verify that you are receiving adequate signal (a minimum of two or three bars of signal). Turn off Wi-Fi. If you are connected to a Wi-Fi access point, your device will not connect to the mobile data network. From the Home screen, touch Menu > Settings > Connections > Wi-Fi . Touch the slider Slider On next to Wi-Fi to turn Wi-Fi off. Verify that you can access the website from a non-mobile device. 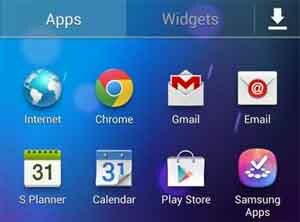 Check for any available software updates for your device at Samsung Support. Check for any application updates at Apps > Play Store. Once in Google Play Store, touch Menu > My apps > UPDATE ALL or UPDATE individual apps. To re-establish a connection with the mobile network, with the device still on, remove the battery for 30 seconds. After the time has elapsed, replace the battery and power on the device. Wait a few seconds for the device to connect to the network. A few service providers will reduce your speed after a certain limit. Please contact your service provider to see if your speeds have been reduced. During peak times, the network can become overloaded with users, reducing the amount of bandwidth available. Attempt to connect to mobile data by opening either browser on the device, Apps > Internet, or Apps > Chrome, and navigating to a webpage such as www.sebertech.com. If you’re currently experiencing problems with your phone and don’t know how to fix them, contact us by email at sebertech@gmail.com and we may have solutions to you problems or answers to your questions.